Centuries ago people thought of Earth to be a flat bed and also assumed that it was the universe that revolved around the planet Earth but Galileo was the one whose idea of Earth being round and at the center of Universe change the perspective or say it as changed the world. Had Galileo failed to express his idea of planet Earth being round in shape, a lot of valuable years would have been wasted in identifying the astronomical benefits. Earth being round in shape was an idea that occurred to Galileo and he worked hard around this idea, built telescope, used mathematical formulas, observed the movement of moon, sun and then presented the idea in front of the world with loads of conviction. His extreme confidence in his idea of earth being round coaxed churches to put him behind bar but that was no end of his idea, by that time he was successful in planting the seeds of imagination and possibilities and the world we today live in is a mere reflection of the ideas we pursued in past. Every Entrepreneur needs to be like Galileo, he did everything to improve his ideas; he even went to jail but never left his idea because he believed in it. Every entrepreneur must learn from Galileo and develop the required perseverance. With such commitment towards the idea anyone can build a successful enterprise. Work on idea and improve it: Ideas are nothing but an outcome to everything we express and how we see those experiences. One can always trust his brain for such amazing ideas and start improving in order to built a profitable business around it. • Does your idea solve a problem? • Is there a market for it? • Will people be in interested enough to pay for this service/product? Measure your ideas on these parameters and make note of every outcome that you come across. Do not let the lack of anything demotivate you. No idea is perfect in the beginning and in the world of Entrepreneurship PIVOTING is an important concept. You can always try different revenue models and change it according to the results they produce. Get the name of your company registered before an investor writes a Million Dollar check for your startup. Yes! It is extremely important for entrepreneurs to do a market research about the name they are finalizing and also secure every intellectual property related to it at the first instance. Do not delay the procedure; the contemporary world is full of obnoxious people and naysayers. Go ahead and secure every name you want to use with your business. Build the Right Team: Building the right team is not only about hiring people; when working in a startup you need to build relations with people. You need to get them on the same page as you are. As an entrepreneur you need to ensure that your team sees the idea eye to eye with you. You need to take every opportunity in your favor and prove it to them that your idea is going to change the world for better. Building the right team is sometimes about finding the perfect Co-Founder. A talented Co-Founder can solve half of your problems. You can always work hard but lack of people who are equally talented or hardworking will push you back, with a talented co-founder by your side, you will be able to come over innocuous challenges with great ease. Build a Prototype and test it: Beta versions are important but testing it at a smaller scale before actually pursuing it in full speed will help you understand how very important it is for you to understand the challenges. This prototype test will prepare you for the future. With one glimpse of all the issues that you are going to face in future, you will be ready to work hard and come over those before launching your product. It is going to be one of the best entrepreneurial decisions you will ever make. Pick a workplace and develop your business plan: Get on to the back of your team and make them give their best. Do not make them work under pressure, inspire them to work and produce quality work. One of the best ways of inspiring people to work harder is providing them a workplace that is motivating enough. Yes! In the modern age infrastructures have this unique ability of inspiring people to do good work. While the infrastructure is important having a business plan that acts like a roadmap of your business is must. 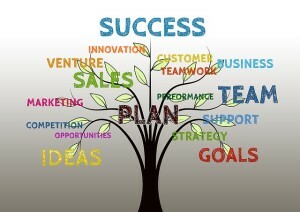 Spend some time preparing the best business plan you can. Take help of professional writers and ensure that you the best of information are presented in the business plan. Apply for an Incubator or Seek mentor: It is going to get lonely on the road of entrepreneurship. You will have to rise to the opportunities and find people who all are willing to help you in the long run. With support from an incubator or mentor, you will be able to innovate under extreme situations and take your business in a new direction. Remember, when all doors close, the option of Pivoting will come to your rescue. Raise Capital: While it should never be your primary goal but looking for opportunities where you can raise capital is going to help you. With people ready to invest your business you can set business development on autopilot mode and concentrate on its expansion and work on product development. Crowd funding is one of the most sought funding regimes in the contemporary startup community. Look for the possibilities and make a successful business out of it. When on the entrepreneurial journey, you need to hold yourself strong, you need to seek support from your team and improve your idea on daily basis. Do not waste time impressing people, do good work that simplifies life and look for money raising opportunity and you will be successful in the long run.